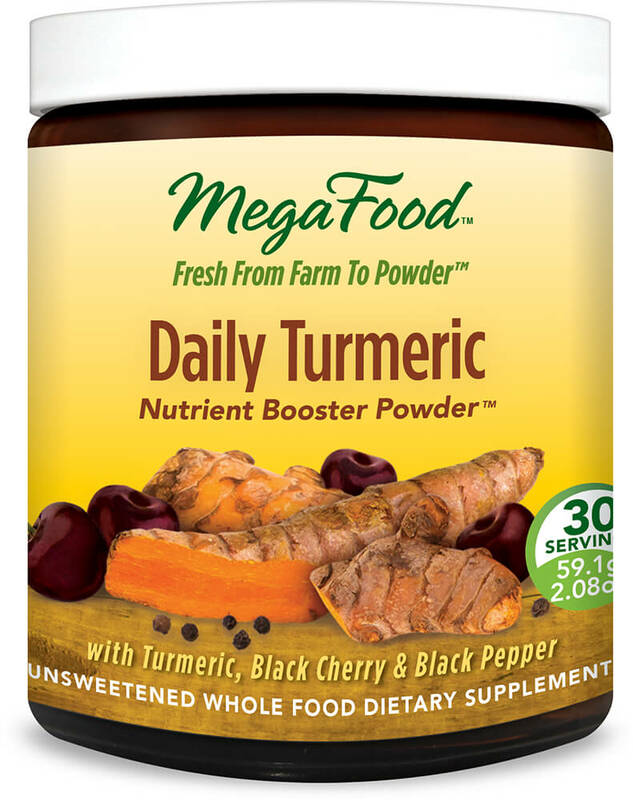 Mega Food Daily Turmeric supports the health of cells and tissues prior to and after workout/physical activity. 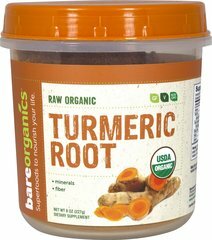 ** Contains Turmeric, Black Cherry and Black Pepper in a nutrient boosting powder. Also promotes healthy aging and well-being** as well as helps maintain a healthy whole body inflammatory response. 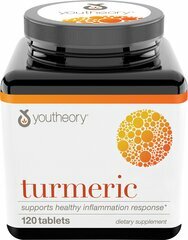 ** Daily Turmeric Helps maintain your body’s ability to respond in a healthy manner to mental and physical stress**. 30 servings. 2 oz. Powder.